Libratus, a poker artificial intelligence, eviscerated its human competition. The artificial intelligence Libratus always knows when to hold ’em and when to fold ’em. 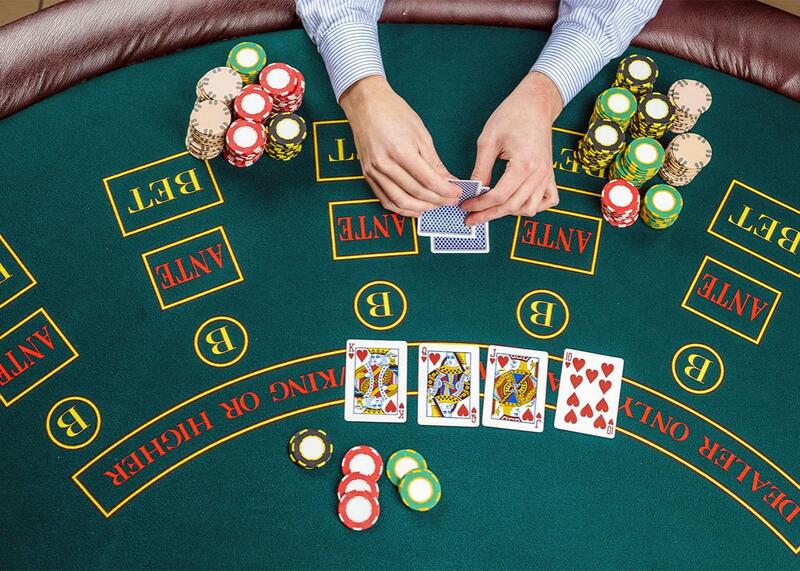 In January, four top poker players convened at the Rivers Casino in Pittsburgh to challenge Libratus, an artificial intelligence developed by a professor and a Ph.D. student from Carnegie Mellon University. The A.I. and the humans would play a total of 120,000 hands of poker over a three-week period, which ended Monday night. Each of the human players faced the computer independently across four isolated heads-up matches pitting man versus machine. Libratus won convincingly, leaving the poker community wonderstruck. To the pros, poker is not really a game at all. Elite pros are mapmakers who have traversed every last inch of the game’s terrain and are seldom baffled by a scenario. In comes Libratus, chronicling the cosmos of cards like the Hubble Space Telescope, unveiling a superior depiction of poker’s far-reaching expanses, every possibility on the tree of decisions rendered in exponentially finer detail. We were only scratching the surface. We humans don’t enjoy being told that our tough decisions can be boiled down to integers and decimals and then drawn to conclusions with the ease and absolution and inevitability of butter melting in a hot pan. It stung a bit, then, watching Libratus skyrocket to a convincing chip lead almost instantly out of the gates. The poker community watched as the four pros—Jason Les, Dong Kim, Daniel McAulay, and Jimmy Chou—withstood the onslaught, valiantly so, but incurred a definitive loss in the process. Libratus adapted to the aggression of the human players. It stole pots when weakness was shown. It maximized value on its strong hands and exhibited caution when weak. Ultimately, it was sounder in all its decisions, refusing to concede any glimmer of advantage or edge. People hoped, presumed even, that the human team would mount a comeback. But the deficit grew and grew, and less than halfway through the match one thing became abundantly clear. Libratus signaled a changing of the guard. This robot was the best heads-up poker player in the world. Libratus derives its name from Latin and translates roughly to the word “balance,” which in poker is the noblest aspiration and the framework for every consideration. The AI’s display of balanced decision-making was sublime. The human team threw fury at Libratus, tactics that typically devastate an opponent, and it responded with aplomb. Like Ali in his prime, it was elusive, imposing, positively unreachable. Poker is a game of ebbs and flows, a test of who can manage the throes of variance with grace. Libratus used trendy and controversial poker tactics, many of which are generally eschewed, such as taking the betting initiative out of position straight into a pre-flop raiser, as well as massively over-betting in relation to the size of the pot. It did so in a decidedly profitable manner, reopening the floor for discussion in the realm of poker meta-game. It has been enigmatic, mixing eerily stoic caution with a flair for the dramatic, ambushing like a predator with perplexing bets and bluffs in big pots, bobbing and weaving, zigging when the humans zagged. In essence, Libratus highlighted the folly in assuming that humans have collectively mastered anything. In truth, we are not equipped to randomize and compute equity. We are emotional, replete with biases such as loss aversion and recent memory. We have poor understanding of statistical variance and terrible grasp of the long run. Human nature impedes perfection. The public’s knee-jerk reaction may be to mourn poker’s death. Computers will extinguish whatever luster remains, they say. But let me offer a more optimistic viewpoint. It’s possible that poker will actually be emboldened by these developments, experientially enhanced as a human endeavor. Libratus suggests that we can raise the game of poker to new heights. We can benefit from machine learning, even if it is imperfect. Because so are we. Poker in the past had the look and feel of an insurmountable climb of which humans would never glimpse the peak. Libratus can help us get there. This is an empowering proposition, the kind that precludes great human advancement in any field. A.I. will shine the light and lead the way, but humans trek forth themselves and will bask in the progress.